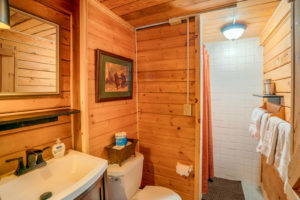 Doc Holliday’s Cabin is both quaint and cozy. 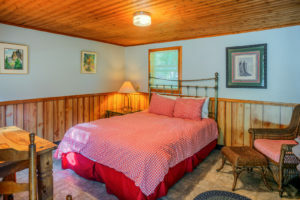 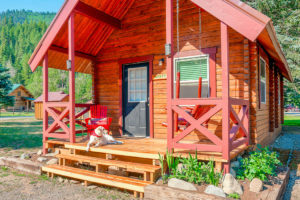 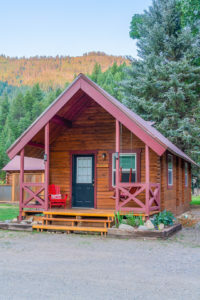 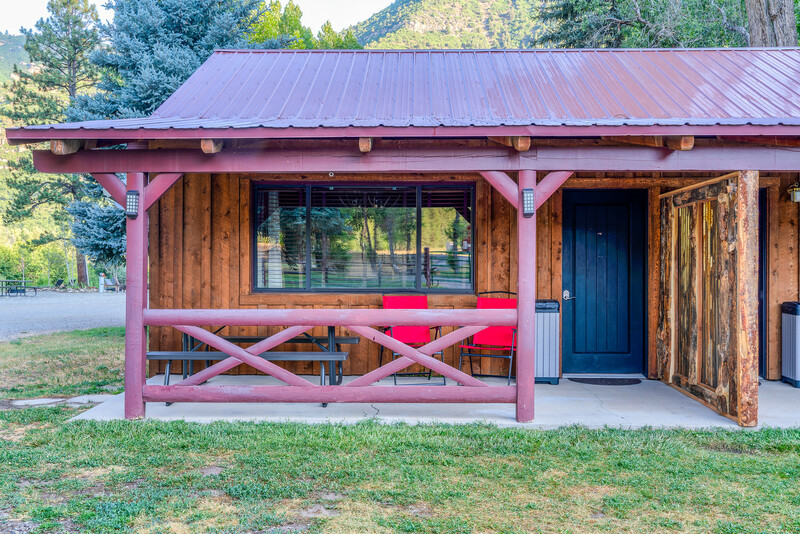 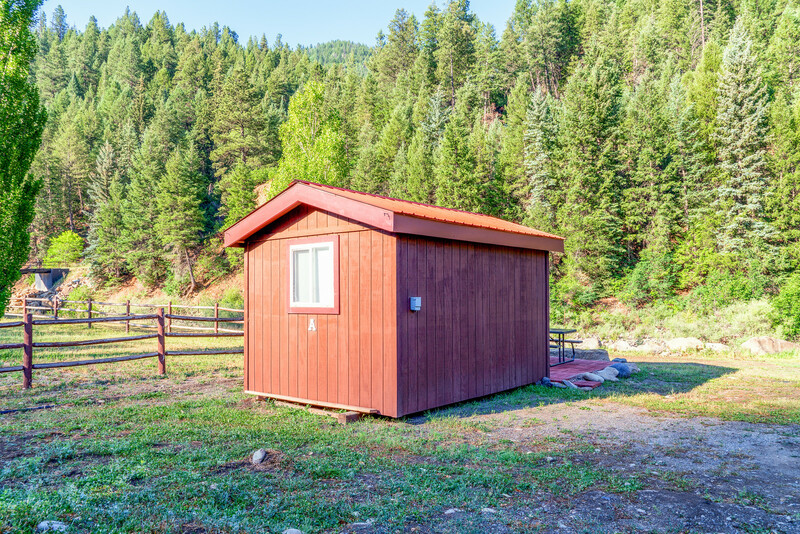 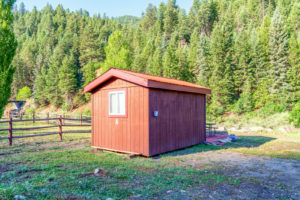 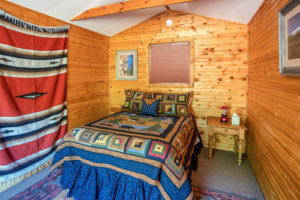 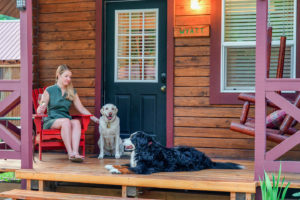 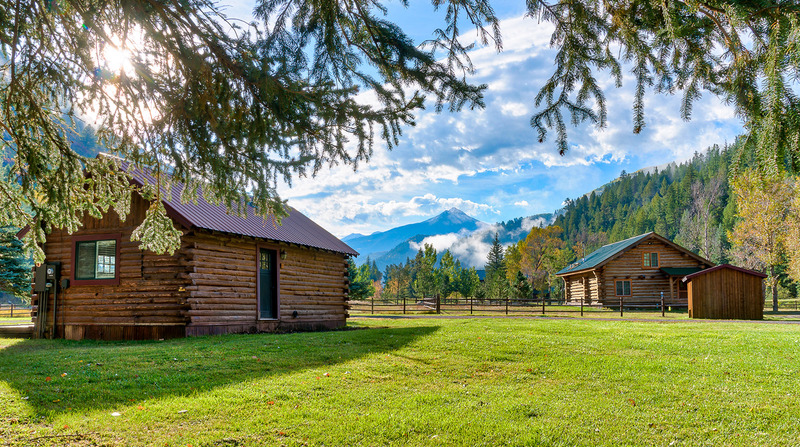 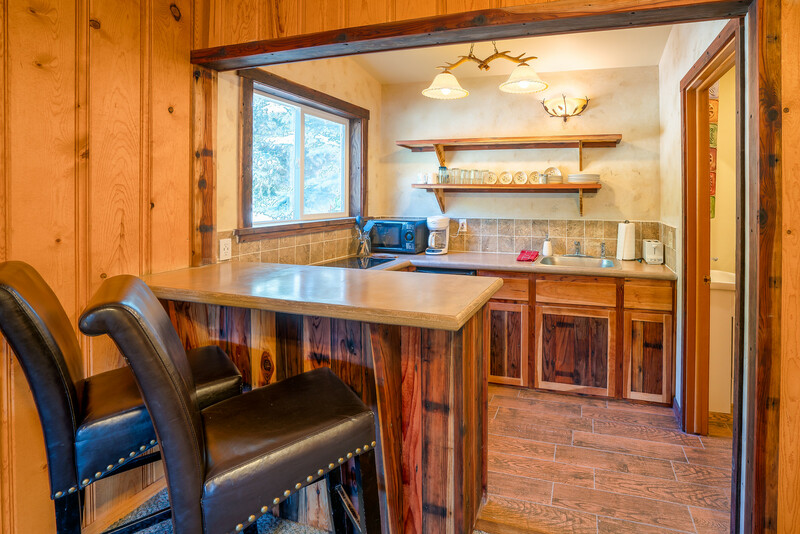 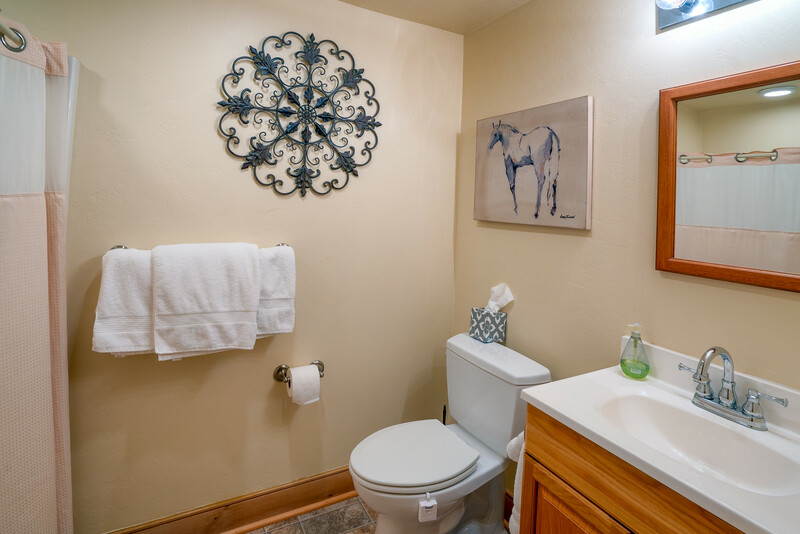 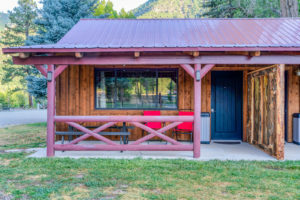 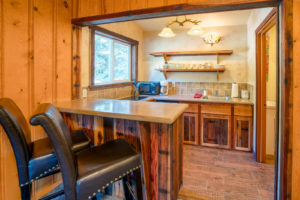 This one bedroom cabin has a newly remodeled kitchenette and private bathroom with a shower. 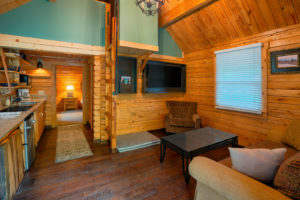 Doc Holliday’s Cabin is great for a couple, but can also accommodate another adult or child via a sleeper sofa. 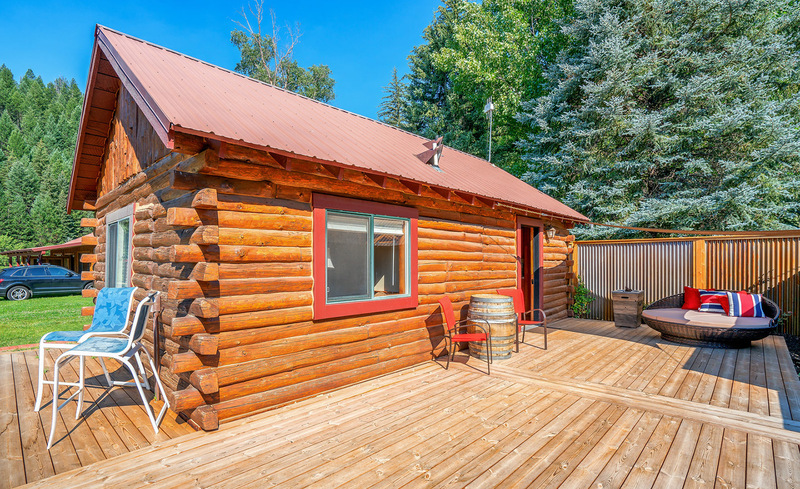 Enjoy the great outdoors and gorgeous views of West Beckwith Mountain from the cabin’s brand new and spacious deck. 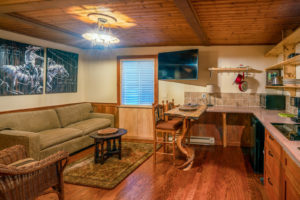 Wyatt's Cabin is a deluxe cozy cabin which features a newly remodeled kitchenette, private bedroom, living area, cozy sleeping loft, and a front porch (and porch swing) with great views - perfect for sipping lemonade and enjoying summer evenings. 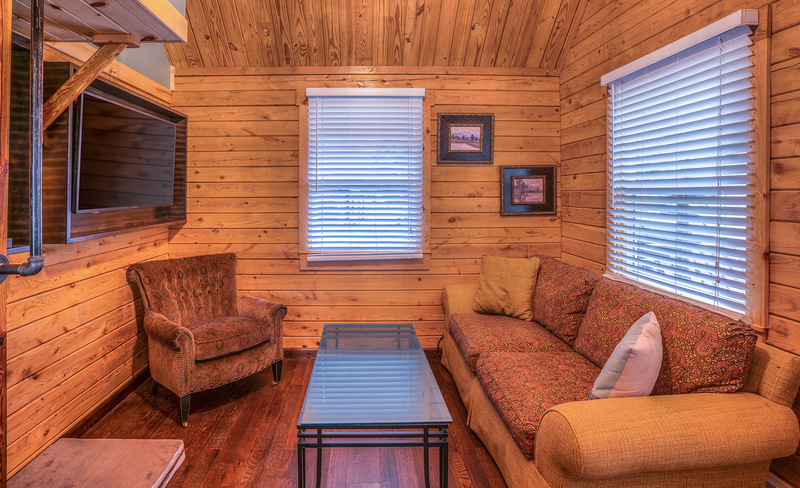 East and West Beckwith are newly remodeled duplex studio-style cabins. 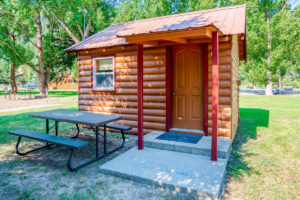 They can be rented together or separately and are ideal for accommodating group travel. Both Beckwiths each have one large room with a king bed, two single beds, a kitchenette, and a full bathroom. 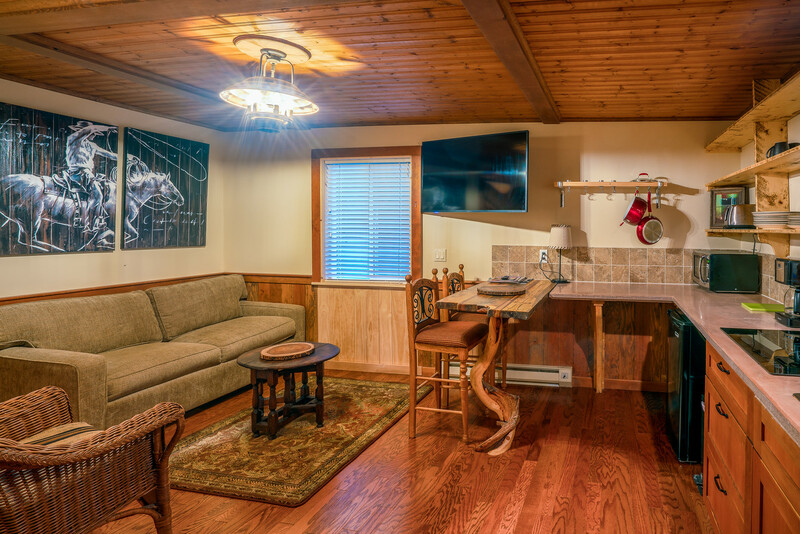 The open floor plan lends itself well to visiting and relaxing! The West Elk Room is our only hotel style single room. It comes equipped with a queen bed, a private bathroom, microwave and small refrigerator. 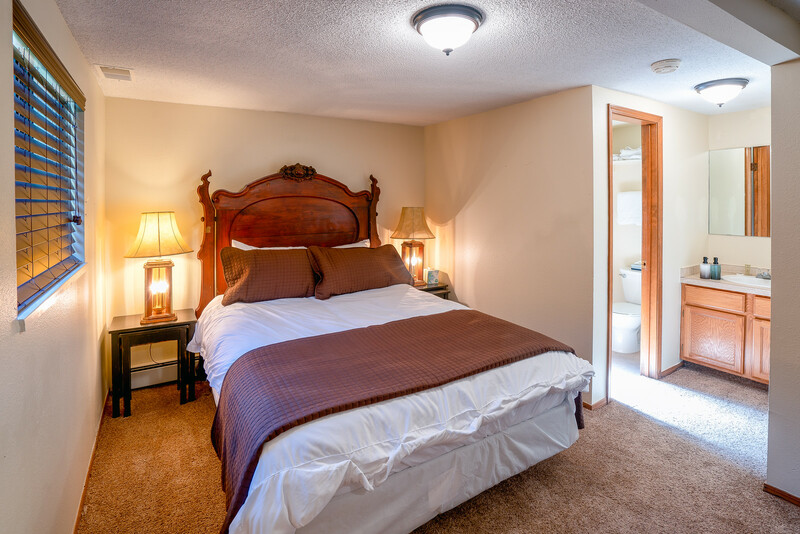 This room is central to the property and close to the laundry facility and offers easy access to the common areas. 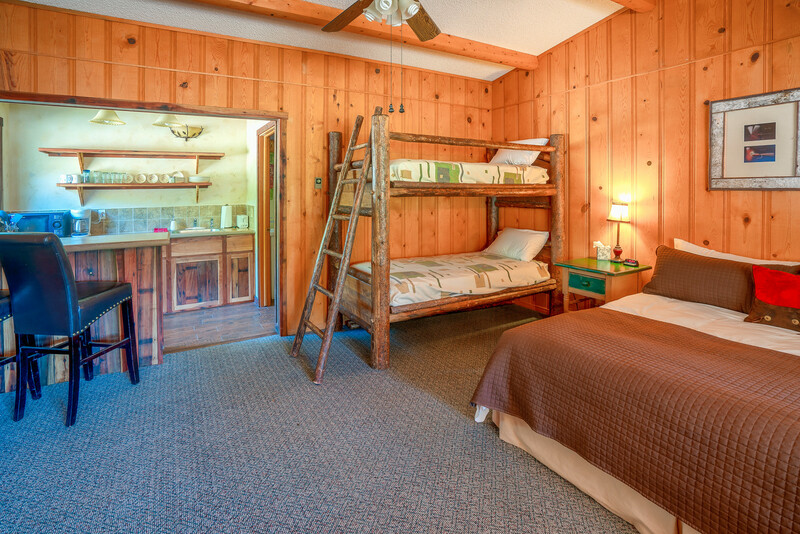 If you like to travel light and are looking for a weekend hide-away, this is the room for you. 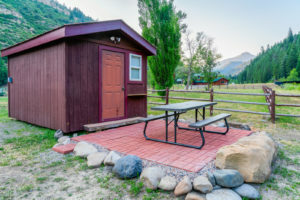 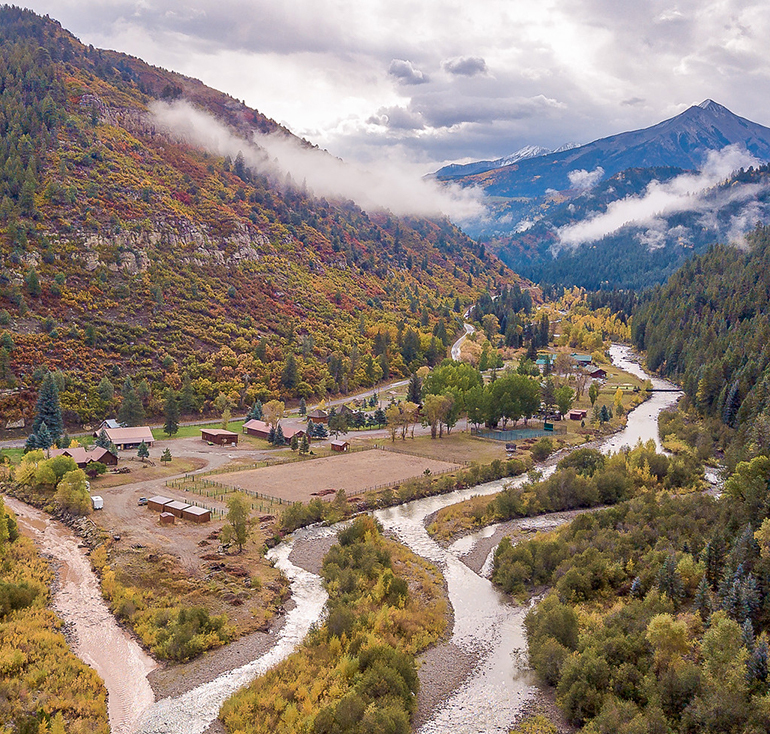 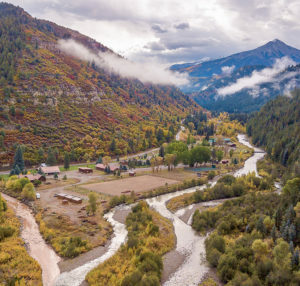 Snowline and Snowshoe are two riverside sleeper cabins that are perfect for folks who love camping but want to bypass setting up a tent. Both cabins are designed for those who want to keep it simple and travel light. Come stay with us along the banks of the Anthracite Creek. 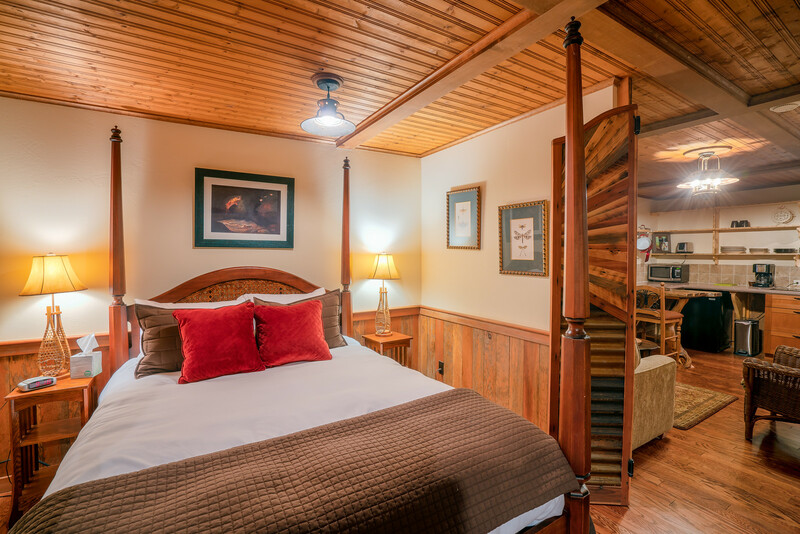 Wake up to the gurgle of the river and enjoy premier fishing just steps from your cabin door. 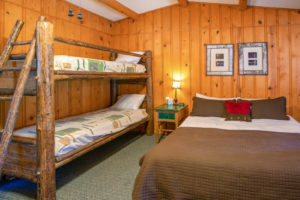 Note, these cabins do not have power, water or heat. 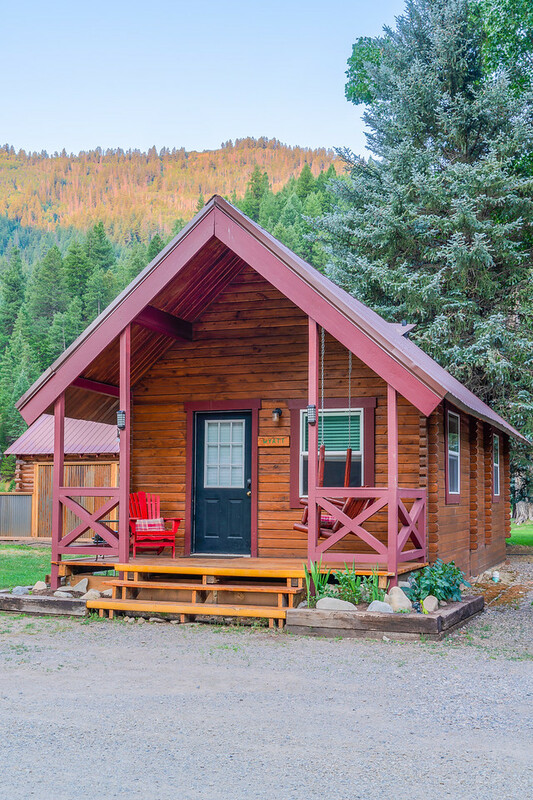 But you do have close proximity to the river, access to the campground bathrooms and a private fire pit. The Hitchin’ Post is our third sleeper cabin. It has power only and close access to the community bathrooms and showers. 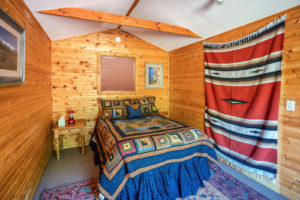 This rustic “cowboy cabin” is perfect for a couple. Its name comes from the old, genuine hitchin’ post located just outside of the front stoop. 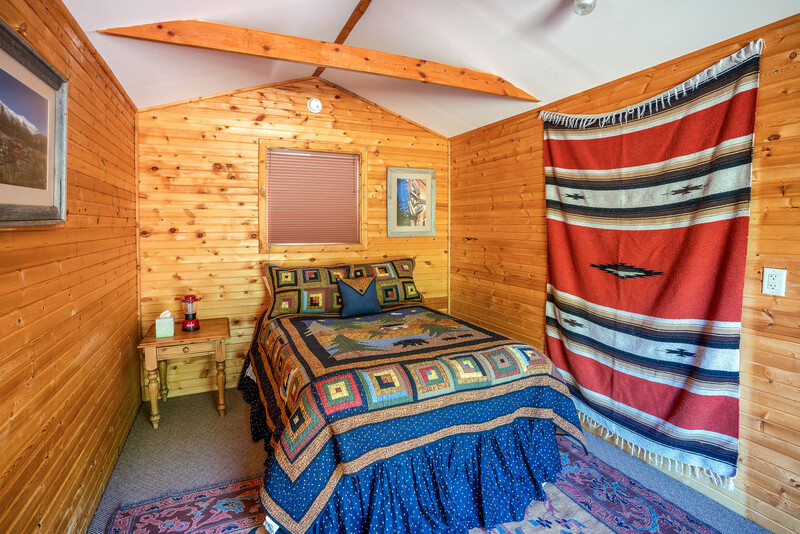 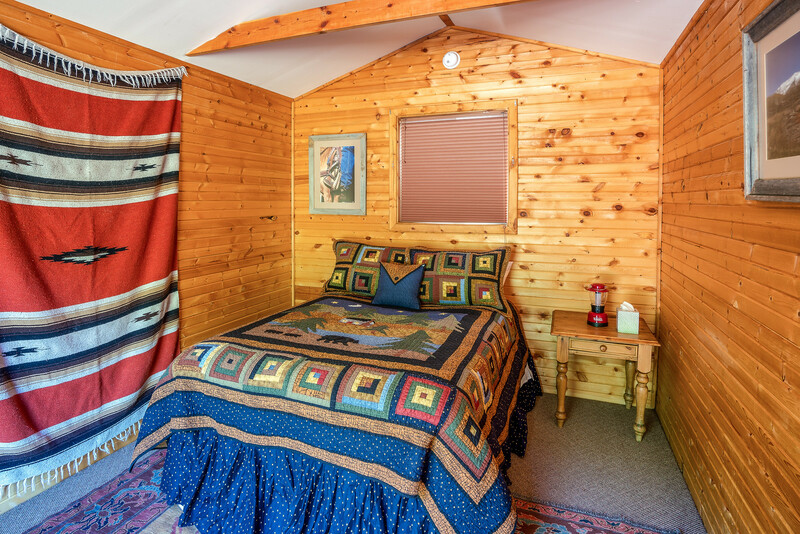 This cabin is also close in proximity to RV sites 21 - 22 and lends itself well to families traveling together. 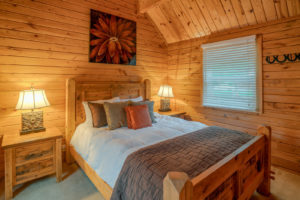 Note: There may be a two night minimum on holidays and weekends during the season. 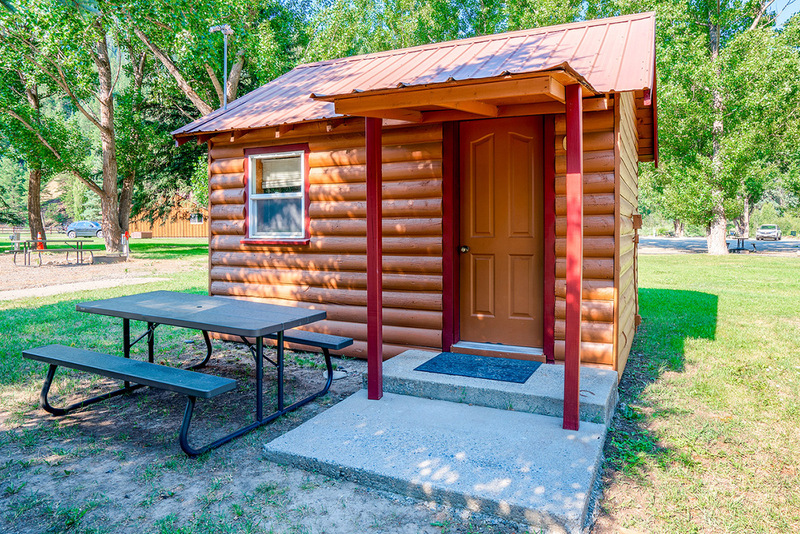 Cabin check-in time is 3:30 p.m. and check-out time is 11 a.m. 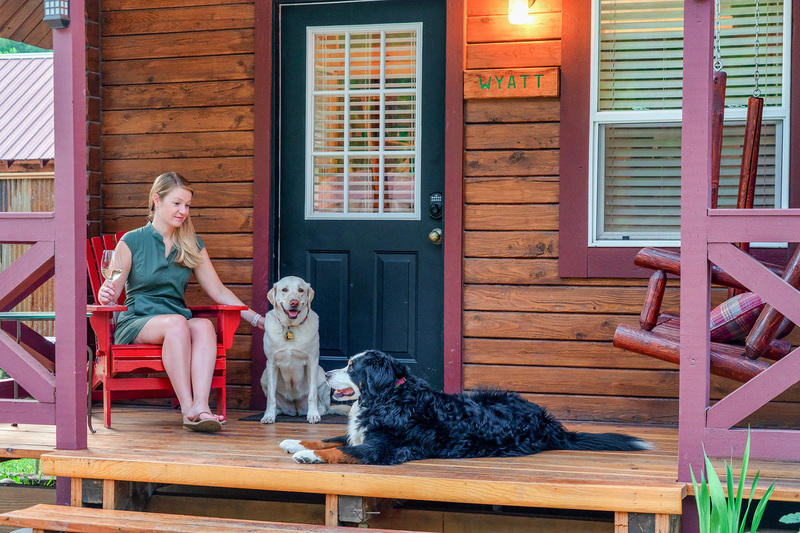 If you plan to check in after 5 p.m., please let us know in advance. Visit our Terms and Conditions page to learn more and see our cancellation policy. © Outdoor Hospitality Solutions Inc 2018. All Right Reserved.